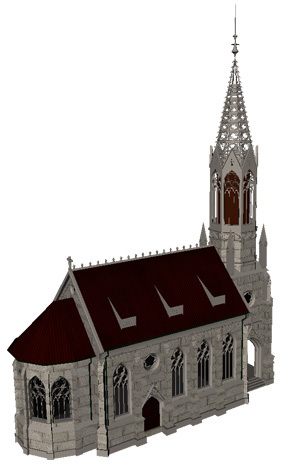 Our 3D Library of content includes a number of religious structures covering various religions. These demonstrate the different religious areas involved in their associative structures. Visit the nave and altar of a Christian cathedral. View the Torah Scrolls in a Synagogue or examine a Buddha Hall. Learn how these areas fit into the worship of their respective deities and the important role that these structures have to followers of the faith. The system is equipped with the capability to listen to sounds that relate to this worship, enhancing the interactive experience.